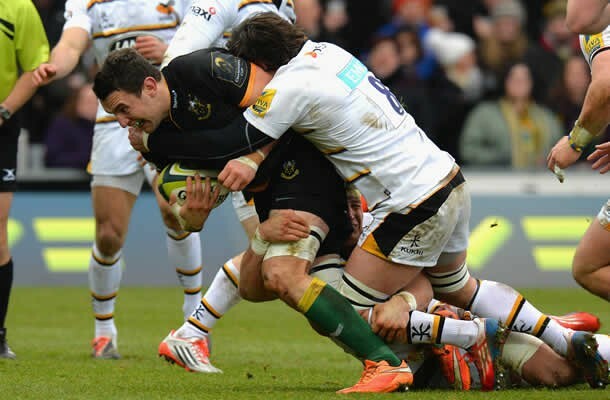 Northampton Saints qualified for the Anglo Welsh LV Cup Semi-finals when they beat Wasps 12-8 at Franklins Gardens on Saturday. Northampton finish the pool stage on 14 points and winners of Pool 2 which had Cardiff Blues, Sale Sharks and London Irish in it. 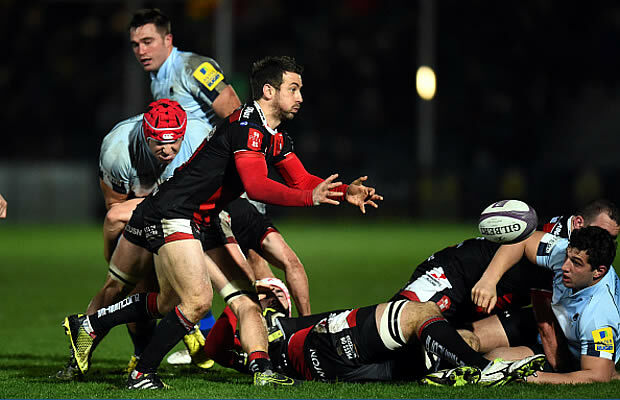 Saints picked up the required bonus-point win to ensure they would make the semi-finals. Trailing the Blues by four points heading into the final round of games, they took advantage of Cardiff’s loss to sneak top spot in pool two. Ahsee Tuala, Phil Dowson, Jamie Elliott and Kahn Fotuali’i all crossed, with Wasps mustering just two penalties from Alex Lozowski. Northampton: 15 Ahsee Tuala, 14 Ken Pisi, 13 Dom Waldouck, 12 Tom Stephenson, 11 Jamie Elliott, 10 Sam Olver, 9 Kahn Fotuali’i, 8 Sam Dickinson, 7 Teimana Harrison, 6 Phil Dowson (c), 5 James Craig, 4 Tom Ryder, 3 Gareth Denman, 2 Matti Williams, 1 Alex Corbisiero. Replacements: 16 Mike Haywood, 17 Ethan Waller, 18 Salesi Ma’afu, 19 Alex Woolford, 20 Ben Nutley, 21 Alex Day, 22 Will Hooley, 23 George Pisi. Wasps: 15 Rob Miller, 14 Josh Bassett, 13 Elliot Daly, 12 Will Helu, 11 Tom Varndell, 10 Alex Lozowski, 9 Jack Gash, 8 Guy Thompson, 7 Thomas Young, 6 Ed Jackson (c), 5 James Cannon, 4 Will Rowlands, 3 Will Taylor, 2 Tom Lindsay, 1 John Yapp.